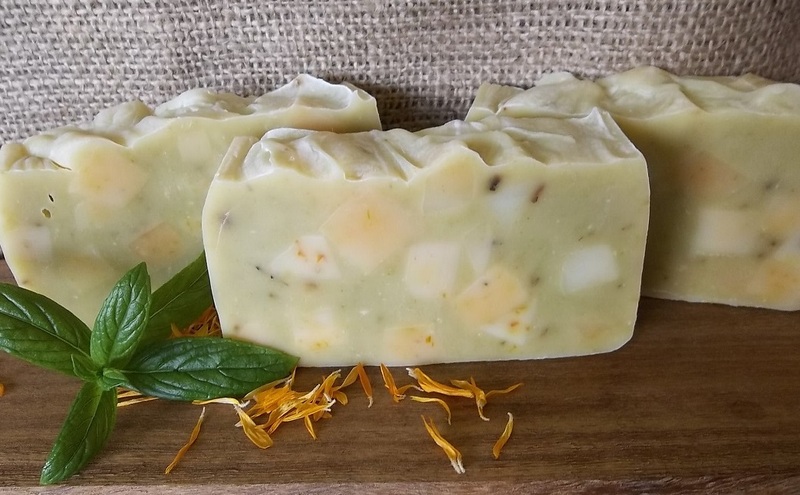 An all-natural handmade soap, naturally rich in glycerine with added healing benefits from the addition of raw honey & calendula. Honey is primarily known for its humectant and antimicrobial qualities. A humectant is a compound that attracts moisture to itself. Calendula petals and spearmint leaves are gathered from our garden. Honey & beeswax is harvested from our bee hives. 'No palm oil or fragrances are used in Elamoore Natural Soaps & Cosmetics products. 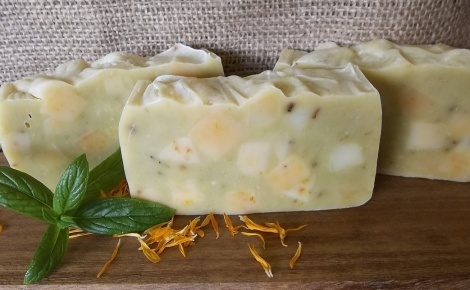 Ingredients: Calendula infused olive oil, coconut & castor oils, rainwater, lye, raw honey & beeswax, botanicals of dried calendula & spearmint leaves, parsley powder, spearmint & sweet orange essential oils.